When an opponent plays a ship, discard a card from hand to download a ship. 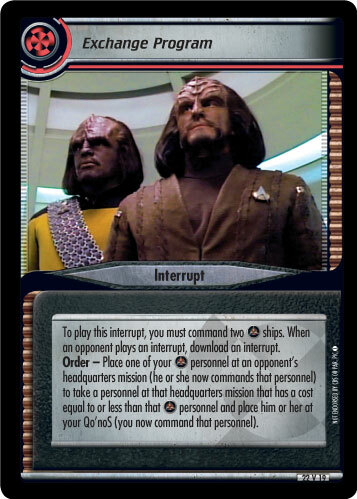 Order - Each of your ships is Range +5 until the end of this turn. 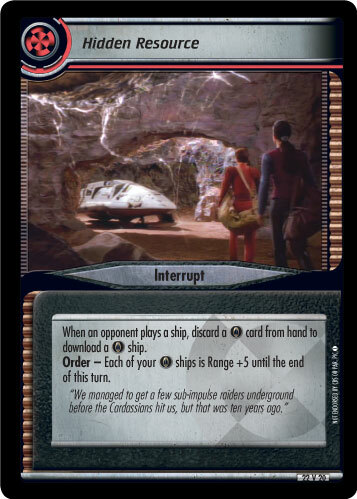 "We managed to get a few sub-impulse raiders underground before the Cardassians hit us, but that was ten years ago."